This year Disney is bringing back H2O Glow Nights at Typhoon Lagoon. 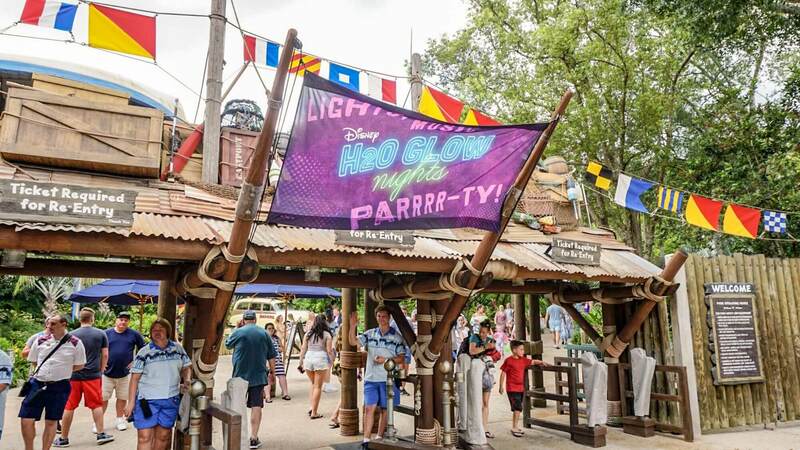 The event runs on select nights from May 30 to August 24, 2019 – 8:00 PM to 11:00 PM and brings a pool party atmosphere to Typhoon Lagoon Water Park. Tickets cost $59 for Adults and $54 for children ages 3-9. You can lock in your date now by booking directly on the DisneyWorld.com website. You can check out our coverage of last year’s event although new food and beverage options are likely to debut with this year’s event. Stay tuned to the blog and we’ll share the news once it’s released.